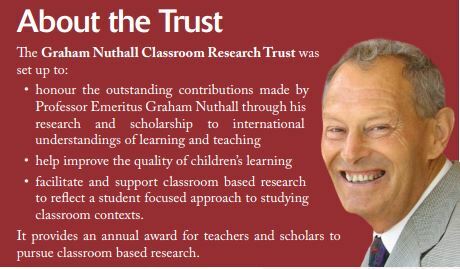 Graham Nuthall is credited with the longest series of studies of teaching and learning in the classroom that has ever been carried out and it has been recognised by the educational research community as one of the most significant. 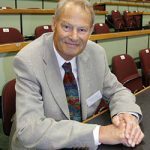 A pioneer in his field, his research focused on the intimate relationship amongst students and the teachers within the classroom, resulting in a deeper understanding of the significant and often very subtle classroom interactions which influence learning. After completing his PhD at the Univeristy of Illinois he returned to the University of Canterbury and was made a professor at the age of 37. His work was published in many international journals including the Harvard Educational Review. He won many awards including the New Zealand Science and Technology Medal from the Royal Society. In 2003 he was made a Member of the New Zealand Order of Merit for services to education.